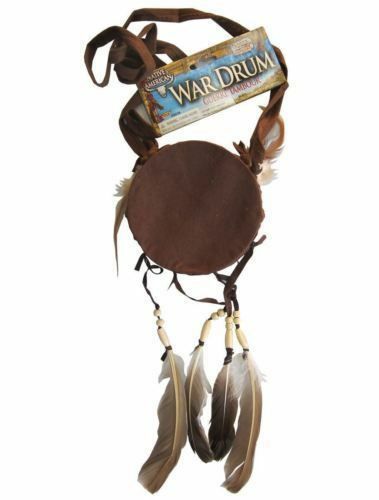 Costume accessory Native American war drum with feather and bead trim. Toy drum is 5 inches across and 2 inches thick. Not an actual drum. The perfect accessory for your Indian warrior costume! 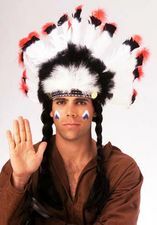 Check out more options in our Cowboy and Indian Costumes section!